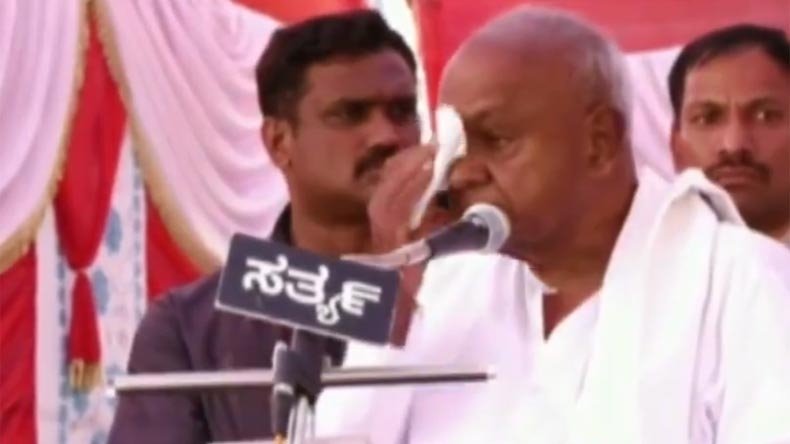 JD(S) supremo and former Prime Minister HD Deve Gowda broke down in tears and got very emotional while he officially announced the candidature of his grandson Prajwal Revanna from Hassan, the constituency he has nurtured for decades. Rolling out Prajwal’s campaign from Moodalahippe in Holenarasipura, Hassan district, Gowda fought hard to hold back tears as he remembered his early days in politics and announced that he was vacating the seat forever. He said from now on, Prajwal will continue to take care of the seat.